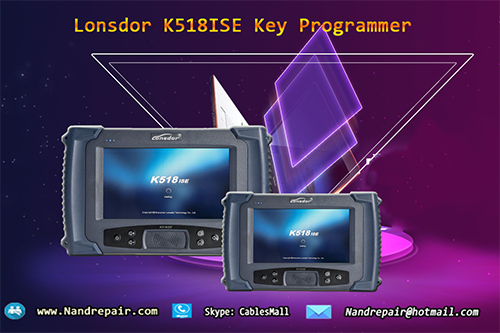 Lonsdor K518ISE is a popular Auto key programmer, This Article will share user manual for Lonsdor k518ISE Service Center Operation.Lonsdor K518ISE product service center is designed to help users to calculate key data whenever and wherever. hope this page can help you. Lonsdor K518ISE key programmer is now released a “Product Service Center” which is designed to help users to calculate key data to covert data (prepare service mode) whenever and wherever. Users are free to login into center with email and password. Step 1: Login Website: http://u.lonsdor.com, Input user account and password to login. Note: The account and password must be the same when register your K518ISE. Device PSN is default.Choose the car type, like S40/C30/C70 ect.Upload the right EEPROM(2) first, and then upload the left EEPROM(1) data.Submit data. Step 6: Once submit the data, the system will calculate data and refresh automatically, until the final result shows.